Although huge red-and-white tents have popped up on its grounds, Big Top is no ordinary circus. The new festival experience, created and curated by Edward Sharpe and the Magnetic Zeros, takes over the park for the next four evenings with a wide array of activities that include vaudeville comedy, contortionists, magic, acrobats, puppetry, carnival games, interactive performance art from Lucent Dossier, beer gardens and a unique farmers' market. Of course there is music as well, kicking off with acts such as Fool's Gold tonight, Rocco DeLucca Friday, Frank Fairfield Saturday and Aaron Embry on Sunday. Each night, Edward Sharpe and the Magnetic Zeros perform an intimate, in-the-round set. Tenacious D always puts on fun shows, mashing comedy and music together, so they decided to create a new comedy and musical festival. The lineup includes Patton Oswalt, Zach Galifianakis, Adam Sandler, Fred Armisen, Princess (Maya Rudolph and Gretchen Lieberum), Sarah Silverman, Reggie Watts, Neil Hamburger, Nancy and Beth (Megan Mullally and Stephanie Hunt) and, of course, Kyle Gass and Jack Black. Aside from the live entertainment, there are free arcade games, specialty cocktails and food vendors like Border Grill, Poke Poke, Fritzi Dog and Strawberry Fields. Whether it's baking a pie or roasting a turkey for the first time, whenever I try something new in the kitchen the first thing I do is watch an Alton Brown video on the subject. The best-selling author, "Good Eats" host and Food Network regular possesses a gift for translating the complex scientific principles behind cooking into easy-to-follow instructions on how to concoct dishes on your own. I am forever faithful to his biscuit recipe; it has never failed me. He brings a mix of food experimentation, stand-up comedy, multimedia lecture and live music to Orange County this evening with his Edible Inevitable Tour. I must confess that I am a sucker for bingo. I even used to carry around a bingo dabber pen in my purse. Rebel Bingo, however, is nothing like the nursing-home game. Invented in a London church hall basement, rules and refinement are thrown out the window on these game nights. Instead, you can expect loud music, dancing, drinking, DJs, profanity-laced number calling, 'punishment' for claiming to have bingo when you don't and unorthodox prizes. Don't wear anything you wouldn't want covered in marker because you will inevitably be drawn on. Get into the spirit of the season with two Halloween favorites. First up is Tim Burton's Beetlejuice from 1988, which follows a recently deceased couple (Alec Baldwin and Geena Davis) as they become ghosts and try to scare away their home's new inhabitants under the tutelage of the mischievous "bio-exorcist" title character played by Michael Keaton. Whenever I hear "The Banana Boat Song," I immediately think of this movie. To follow is the 1982 horror classic, Poltergeist, that is going to scare the bejesus out of you. "And here I am, pouring my heart onto these rooftops… From up here the city lights burn like a thousand miles of fire, and I'm here to sing this anthem of our dying day." I have such great memories of sitting in a car with friends on the roof of a parking structure on the Sunset Strip, belting out the lyrics of "Anthem of Our Dying Day" from Story of the Year's debut album, Page Avenue. It's hard to believe it's been 10 years since its release, especially because it seems like just yesterday that I interviewed the St. Louis natives before a show a week after the album came out. It was so inspiring to be surrounded by these musicians who were so full of passion and hopes for the future. Page Avenue has since become a classic to those who love the genre, and to honor its anniversary, SOTY just released an acoustic/reimagining of the record, Page Avenue: Ten Years and Counting, and embarked on a celebratory tour that hits the Strip tonight. 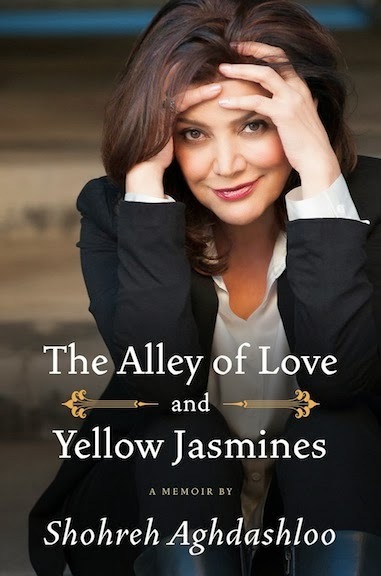 The award-winning actress shares her incredible life's story in The Alley of Love and Yellow Jasmines, which released over the summer. 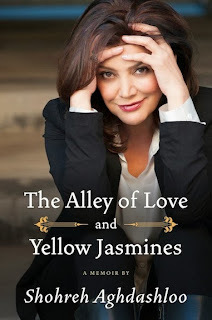 The memoir begins with her childhood in Teheran when her passion for film was born. It moves through the early years of her marriage, the 1979 revolution that toppled the Shah and saw the start of the stifling reign of Ayatollah Khomeini, her escape to Europe and eventually Los Angeles. She shares her struggles in assimilating to the new culture and breaking barriers in Hollywood. Aghdashloo has one of the most unique voices, both literally and as an author, so it's going to be a great experience to hear her discuss her story at Book Soup where she is also set to do a signing. The New York quartet celebrates today's release of their new EP, You & I, with a show at the Satellite. The group's two vocalists, Emile Mosseri and David Baldwin, have been making music together since age 11, and when they met keyboardist/guitarist Erick Eiser, they began cultivating the Dig's sound. 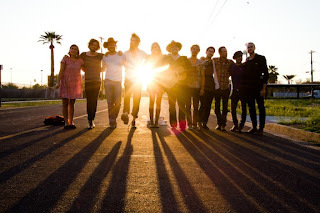 Joined by drummer Mark Demiglio, the band craft intelligent and catchy songs characterized by tight harmonies, gorgeous synths and sharp guitars. It's a real treat to see the songs translated to a stage in a venue as intimate as the Satellite. The Tony-winning musical, with music by Andrew Lloyd Webber and lyrics by Tim Rice, returns to the gorgeous Pantages in a new production directed by Michael Grandage (Tony-winner for "Red") and choreographed by Rob Ashford (Tony-winner for "Thoroughly Modern Millie"). If you've seen the 1996 film adaptation that starred Madonna and Antonio Banderas, then you know the story is based on Eva Perón's rise from the slums of Argentina to the presidential mansion with unforgettable songs like "High Flying, Adored" and "Don't Cry for Me Argentina."